“Chase Clark just upped his game. As an eighth grader, he scores the chance to play on the varsity football team with his best friend Tripp. But when a hard hit takes Tripp down Chase is the only one who knows what really happened. And telling could have serious consequences. Making the right call won’t be easy. Neither will the consequences he'll face, both with the guys on the team and with the school. What s the game plan when doing right might means everything else goes very wrong?" Game face: Snap Decisions is the first in a series of books by Nathan Whitaker. 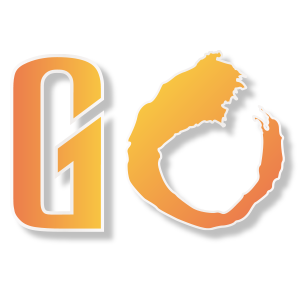 Each book will cover a different sport with a different protagonist. 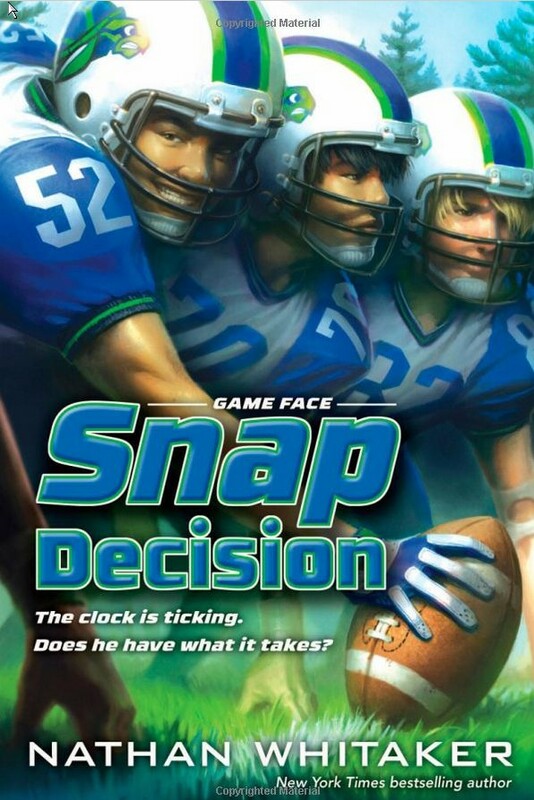 The first book “Snap Decisions” is about Chase Clark an eighth grader on the JV Football team in Archie F Carr School. Taking place in a small town called Lincoln between Jacksonville & Gainesville Florida. Chase lives with his older sister, Hannah, and their divorced Mother. Even though his mother works many long hours at a law firm he has his best friend of many years, Tripp, and his family that always looks out for him like he was their own child. Chase is all about football, college or pro level; he is in love with it. Luckily for him, his best friend's dad, Mr. Stevens, is a scout for the fictional NFL team the Jacksonville Destroyers. Throughout the story Chase is set on being one of the few JV players to make the jump to Varsity. Because his school does not have a lot of students, it is very common to have JV players make the jump to Varsity. But only a few make the cut, like his friends Tripp and Megan. What makes his dream even possible is the fact for such a scrawny kid he can throw the ball really well and that has caught the attention of Varsity Coach Skalaski and other varsity players like JB the Varsity Quarterback. Chase’s town is like a typical football town; every game is a family affair whether it’s at home or away. So when Chase tells his mom about a probable chance of joining the Varsity squad it is a cause for celebration. For an eighth grader it’s is surprising that he has the understanding that even though it is just talk for now, that the opportunity to play Varsity isn’t a guarantee. But he’s happy nonetheless. When he tries to talk to his father about the opportunity, you can see why Chase’s mother divorced him. Instead of trying to talk to Chase about the good news and seeing how everyone is doing, he treats it as unimportant news and wants Chase to ask Tripp’s dad is he can score him some great tickets to an upcoming game for a client in Detroit. When Chase goes over to Tripp’s house for dinner, you can tell how reluctant he is and sorry to have to ask Tripp’s dad for a favor his dad could have easily done himself. Showing just how strained the relationship everyone has with Chase’s father. When Chase first moved to Lincoln from Atlanta at the age of eight, Tripp’s dad was the first to help them settle in and has been there for them; since then Chase and Tripp have been like brothers. Throughout the book you get a sense of Chase’s longing for a father figure in his life. Always looking to someone as that role model of who he wants to be; From Tripp’s Dad, the football coaches, and the Varsity QB James Brown, they all play a significant role in Chase’s life along the way. Chase looks to his coaches on what it means to be a leader and a team player; he looks to Mr. Stevens for advice on life; and he looks to JB as the man he hopes to be. Whitaker spends a lot of time building up the life around Chase, the community itself, the students & faculty in this story. So it does take a while to really get to the big decision that Chase has to make, which in my opinion is a good thing. I feel lot of children’s books tend to start with the problem before getting to know everyone involved in the story. Whitaker really lets you get to know everyone as if you are living this kid’s life. So when the big decision comes up, it’s a decision he literally has to make in a snap. It’s a decision that has consequences down the road. When Chase is finally offered a spot in Varsity he doesn’t get to play as much, if ever, but he is just happy to be there. During the game with Bartram High School Tripp catches a pass from JB and was immediately tackled. For a moment Tripp laid on the ground after the tackle not moving at Chase’s feet on the sidelines. Even though it was for a moment it was still one of those moments that happen in a game that seem like minutes has passed by. When he helped Tripp up, Tripp was surprised to see him, asking “Didn’t JV have a game tonight”. Of course Chase thought he was joking, but the signs were there, Tripp had been concussed. The coaches sat him down and gave him a test to see if he was okay to play. Right there and then the coaches asked Chase if there was anything weird about what had happened when Tripp woke up. In his mind Chase knew what the right choice was, but he struggled with the fact that this was his best friend and knew that he wanted to play. Because with a concussion he would be placed on the injury list and not be allowed to play for the rest of the season. When the coaches asked him again if he was okay to play, he finally went with the truth and told them what Tripp said when he woke up. Feeling he had betrayed Tripp and Tripp feeling betrayed, the relationship between the 2 boys became strained and would be tested for the rest of the story. Whitaker takes time through the story to go over why a concussion is so serious. When Chase is home one night, about to pass out, a news story about concussions comes on and really goes over what happens to the brain when a concussion happens; And how serious the injury can be if left untreated. Tripp’s parents are more than relieved that Chase was honest about what happened. Even though Mr. Stevens wanted to go over everything with Chase again at his office, he also felt Chase made the right call. With the recent news stories of the NFL taken concussions more seriously, especially after players have died from untreated concussion injuries and the lawsuits that have followed. The NFL has taken this issue so seriously by making improvements in the current head gear of not only NFL players, but to college and pee-wee league football. Football has been known as the tough guy sport, with players using duct tape to wrap up a broken hand and then going back out into the field to play. As time went on, it became more apparent that player safety needed to be a priority. From being ridiculed for an injury that most guys would have played through, to now being encouraged to get a thorough examination Whitaker’s story gives kids the right idea when it comes to their own or others personal safety. When Chase tries to go over Tripp’s house to see him, his mother tells him the ordeal he had went through at the doctor’s office. Tripp had to be kept up all through the night; he had felt physically ill and drained, and vomited. He was finally able to sleep once he was sent home, and finally able to attend school after about a week. Game Face: Snap Decision is a great book for any child sports enthusiasts. The way he describes each game played throughout the story is very elegant and easy to understand. But in case you don’t understand certain terms there is a glossary towards the back of the book that can help you out. It helps kids understand the important of team work, being a leader, and the value of friendship. There are some religious undertones in this book. And surprisingly it wasn’t the main focus or jammed down the throat of the reader. Whitaker makes it more of a personal matter with certain characters, rather than have every single moment in the book ask “What would Jesus do?” And to me that is important to point out because religion is a personal matter that doesn’t need to be thrown around to make it more important. I give this book 3.5 stars because while I did like the building of the characters and the different towns, I felt certain things could have been left out to help move the story along.